There are SO MANY good projects in this book. Even if you did our previous crochet series, you'll find new challenging projects in this class. 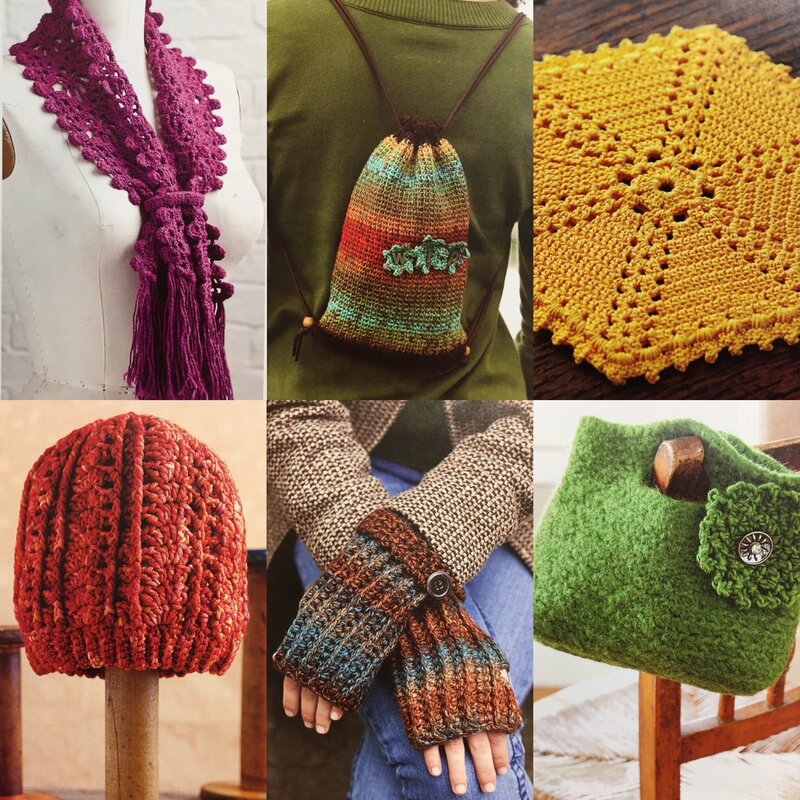 We will crochet: Golden Ray of Sunshine Trivet by Susan McCabe, WIP Project Bag by Janet Brani, Diamond-Strike Banded Scarf by Kristen Stoltzfus, Firebrand Slouch Hat by Brenda K. B. Anderson, Ribbed Wristlets by Janet M. Spirk, and Felted Clutch by Patricia Colloton-Walsh. We must have four students registered by Sept. 11, 2018 to hold this class.